Join us as for a joint webinar about the state of the art in digital transformation, hosted by local software development leader Euvic, together with global software intelligence experts from CAST. Conveying their expertise with the largest American and European brands, such as BNP, MasterCard, AT&T, and Unicredit, CAST experts will describe how leading global organizations are transforming complex legacy environments into digital-ready IT infrastructure. Engineering leaders from Euvic will provide detailed examples from large Scandinavian and Polish enterprises. This will be an eye-opening review of the ‘art of the possible’ to leapfrog the competition and make significant advances in transforming legacy environments to micoservices-based, cloud-enabled systems. Andrzej Biesiekirski - Vice President at Euvic. 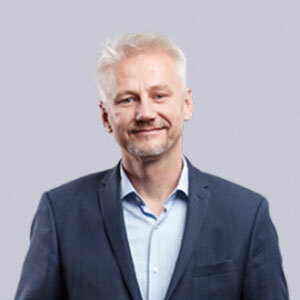 Andrzej Biesiekirski is Euvic's Vice President and an expert on digital business transformation, helping clients interested in supporting innovation processes in their organization and becoming more agile. Andrzej is a graduate of the Institute of Computer Science at the Technical University of Bialystok, Ecole Superieure du Commerce Exterieur Paris, London South Bank University and has completed a number of courses in project management and sales. He has gained many years of experience while working for large IT companies as well as running his own businesses (specialized in IT sourcing and Microsoft solutions). His professional interests include IT sourcing, cloud and business solutions sales and implementation, agile development, DevOps, BI/Big Data and digital business transformation. 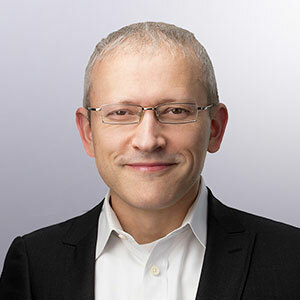 Lev Lesokhin is responsible for CAST's strategy, analytics, thought leadership and product marketing worldwide. He has a passion for making customers successful, building the ecosystem, and advancing the state of the art in business technology. Lev comes to CAST from SAP, where he was Director, Global SME Marketing. Prior to SAP, Lev was at the Corporate Executive Board as one of the leaders of the Applications Executive Council, where he worked with the heads of applications organizations at Fortune 1000 companies to identify best management practices.